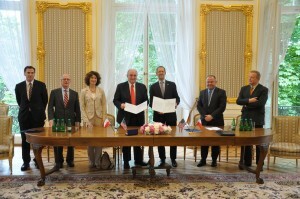 The University of Warsaw renewed the primary agreement with the Indiana University of Bloomington. Next UW faculties are interested in extending relationships with IU units. In the communist times the collaboration between the University and western academic institutions was limited due to political situation. First agreement between the UW and IU Bloomington was signed in 1976. At that time two academic units founded: the American Studies Center and the Polish Studies Center. – The relationship between the UW and the IU was extremely important for those people who had the opportunity to visit the IU Bloomington. Scholars could have an access to the libraries full of books and databases which were unavailable in Poland. In this sense Indiana contributed to this tremendous development, not only of American Studies, but also studies in Poland – explained Prof. Bohdan Szklarski, the ACS Director, during the ceremony. The academic exchange of doctoral students, academic teachers and professors is one of the most crucial elements of a cooperation. – In the last 10 years there were 15 incoming scholars and 29 outgoing – said Prof. Marcin Pałys, Rector of the UW. – Since 2010 we have started an exchange of students of law – added. Units of both universities have signed also bilateral accords. The best example of a strong cooperation are schools of law. During the ceremony the UW rector stressed that more and more faculties would like to extend cooperation with the IU Bloomington, among others, the Faculty of History, the Faculty of Law and Administration, the Faculty of Psychology, the Faculty of Geography and Regional Studies, the Faculty of Economic Sciences and the Faculty of Management. 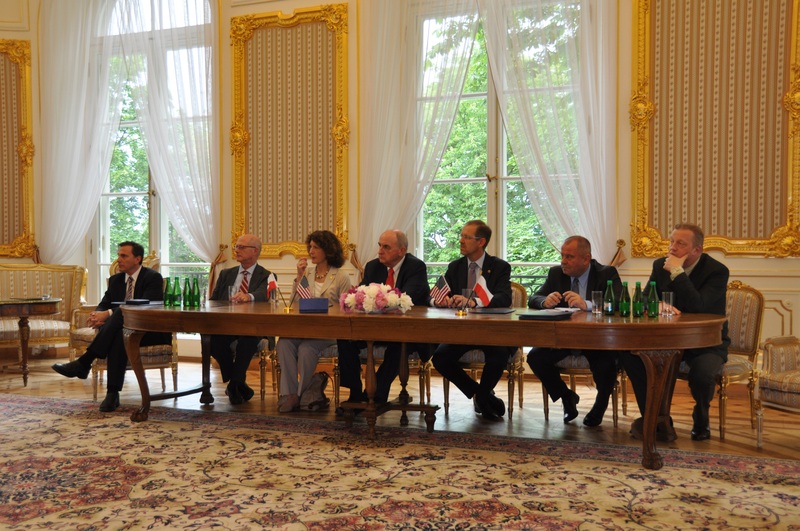 The ceremony of 40 years of partnership between the UW and the IU took place on 1st June in the Kazimierzowski’s Palace at the University of Warsaw. 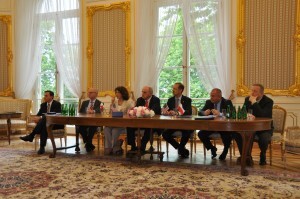 Representatives of authorities of both institutions, scholars and delegations of embassies participated in the meeting. Prof. Marcin Pałys, the Rector of the UW and Prof. Michael McRobbie, the President of IU Bloomington have renewed the primary agreement from 1976. Universities established the Krzysztof Michałek Memorial Lecture in the American Studies. Prof. Marcin Pałys received Thomas Hart Benton Medallion. 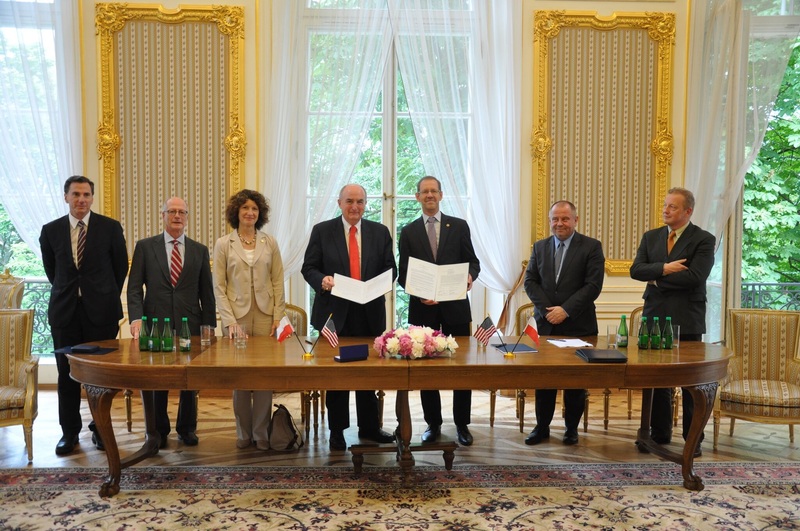 Bicentenary Medal of the University of Warsaw was awarded to Prof. Michael McRobbie. Information concerning renewal of primary academic agreement between the UW and the IU one can read also at the IU website.